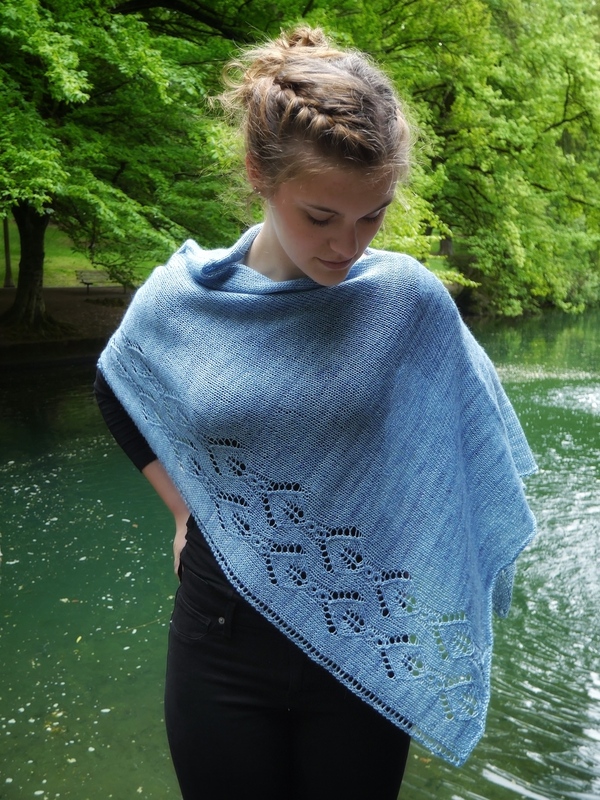 The Cannon Beach Accessories Collection features two slip stitch patterns, one resembling seagulls, the other resembling waves. 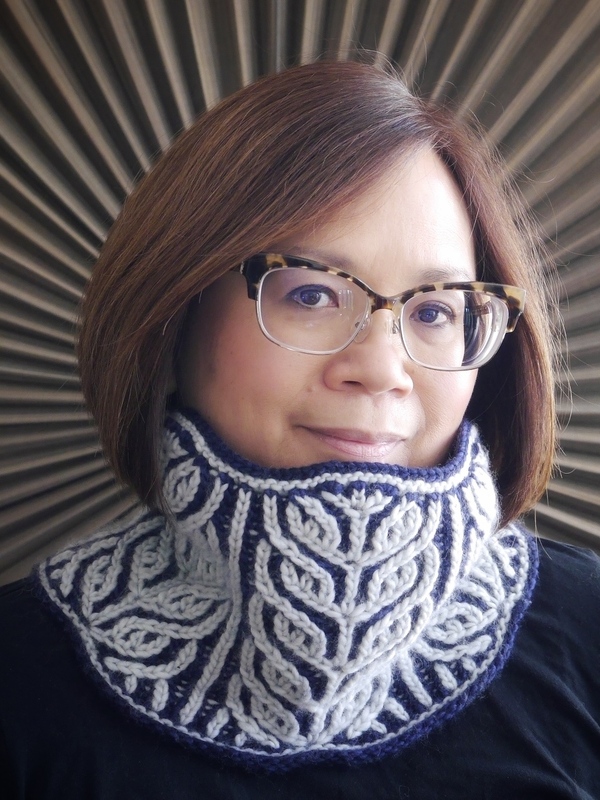 Cannon Beach, Oregon, is one of my favorite places on earth, and the cozy cowl and fingerless mitts are just right for a stroll on a breezy beach. 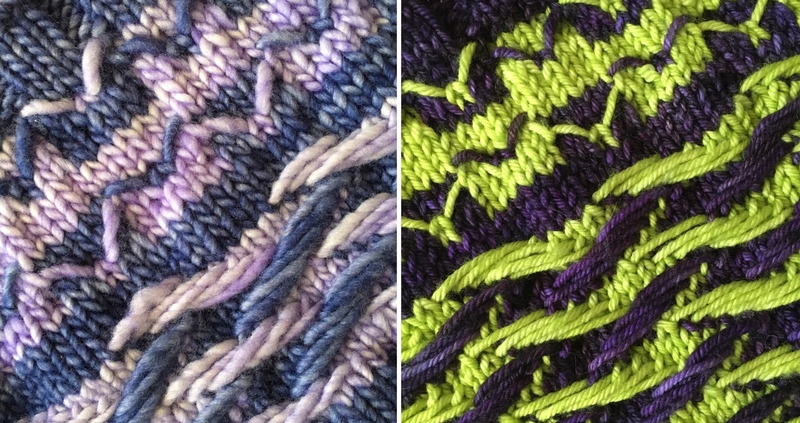 Both pieces are knit in the round from the top down in worsted to Aran weight yarn. 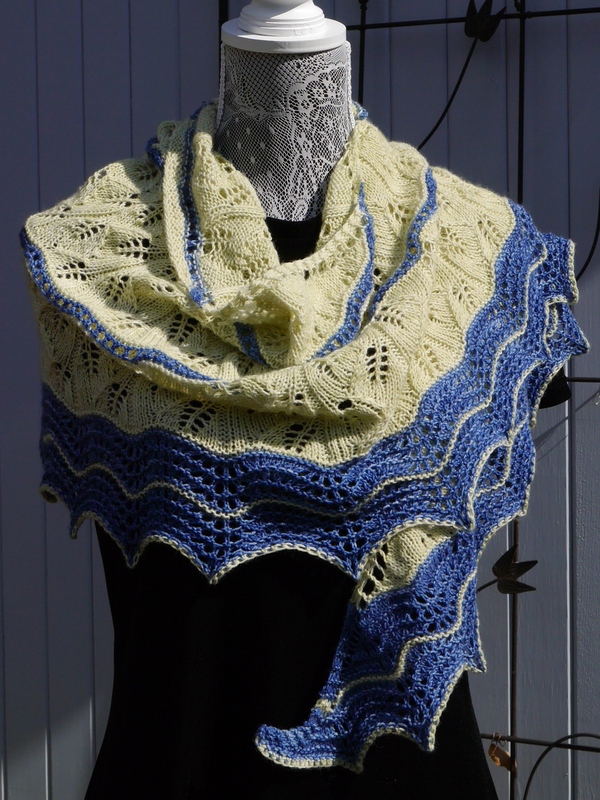 The patterns are available individually, or as an e-book collection that includes both patterns. 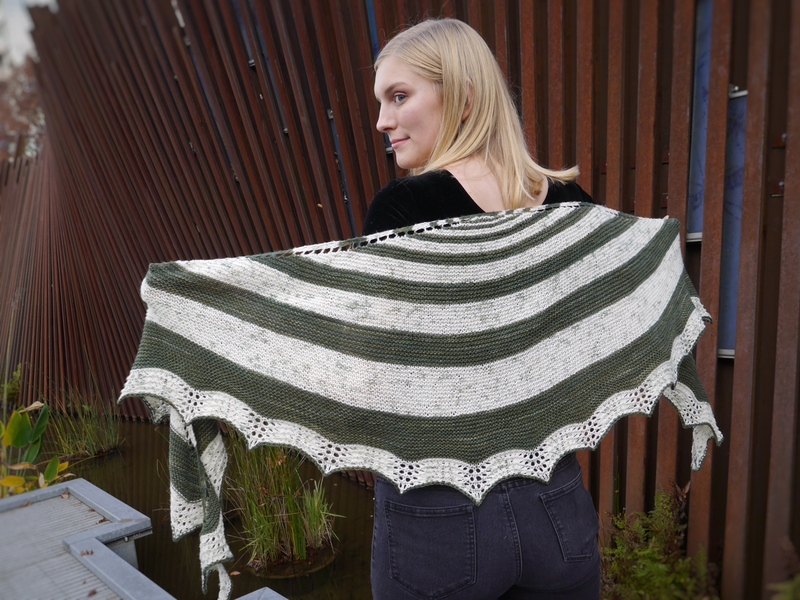 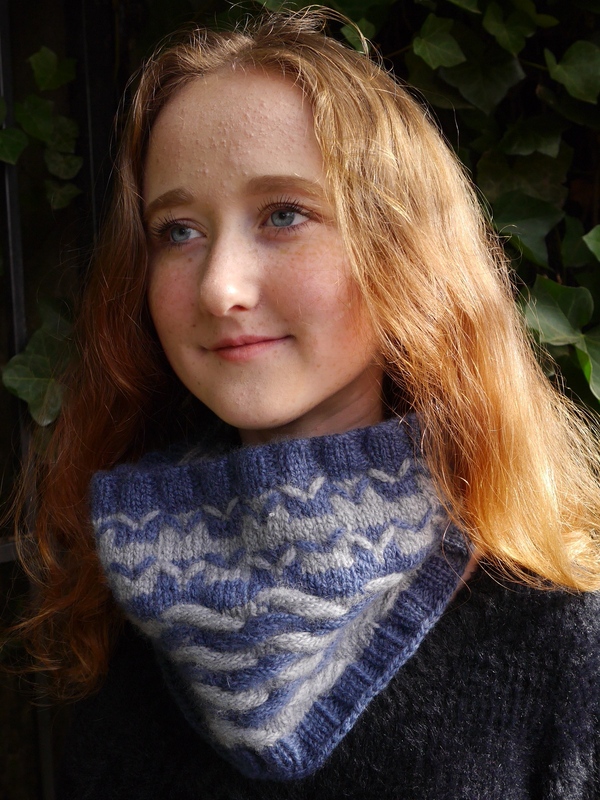 The cowl was inspired by the loveliness of a yarn, Woolfolk Får. 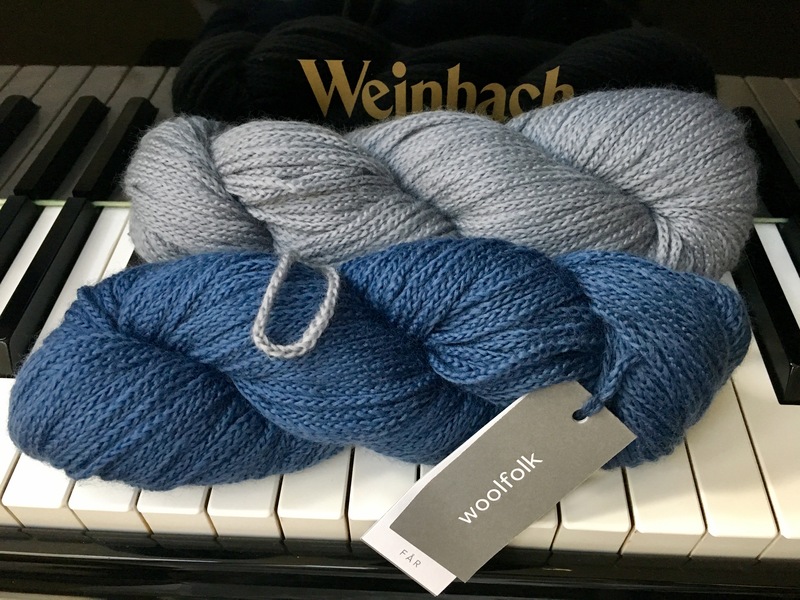 This is a beautiful merino wool chainette yarn. 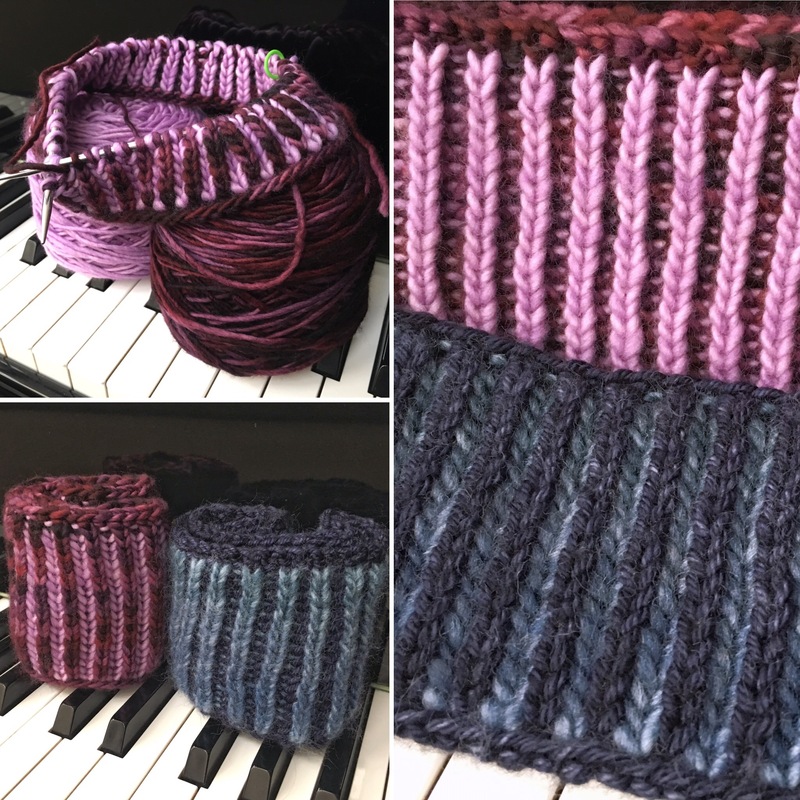 When I saw it I knew it wanted to be a very soft cowl featuring a stitch pattern with long floats to show off the construction of the yarn. 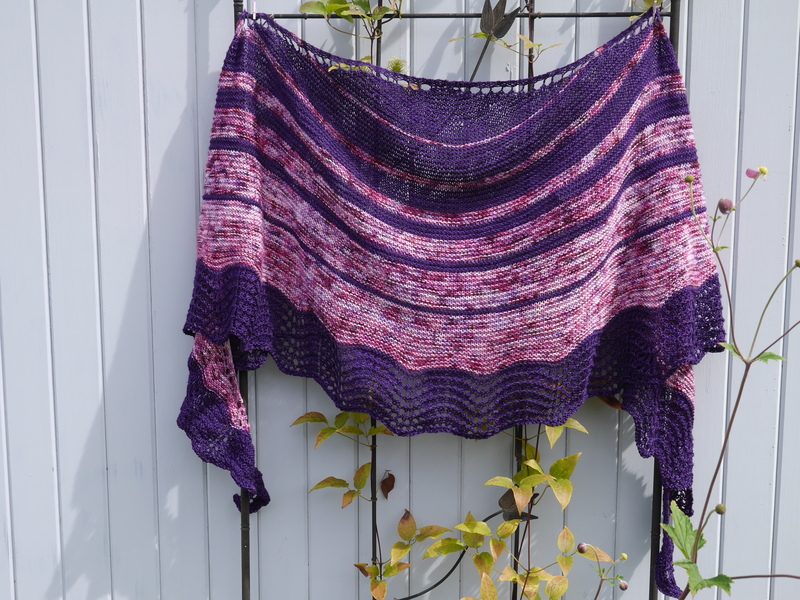 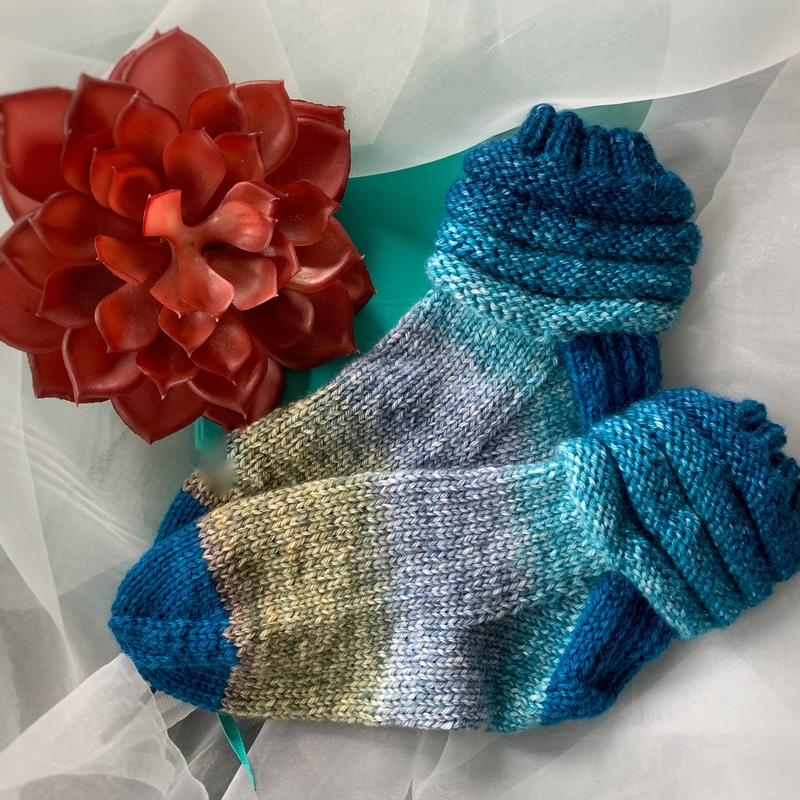 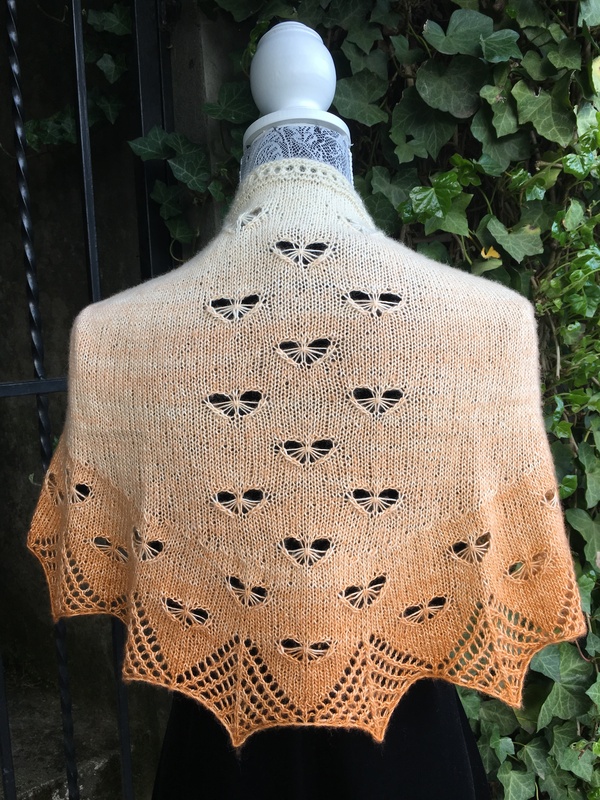 The pattern is also pretty but very different in more conventional yarns like single ply Malabrigo Merino Worsted, or a plyed yarn like Malabrigo Rios. 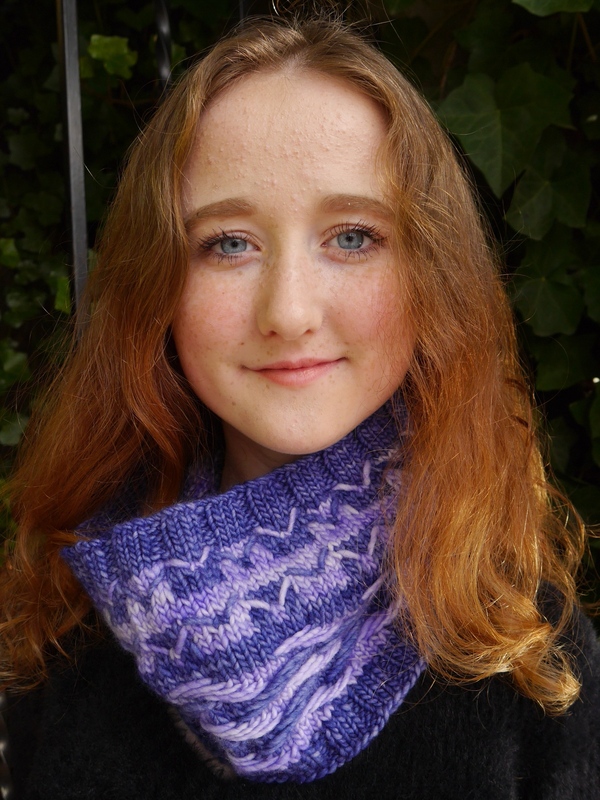 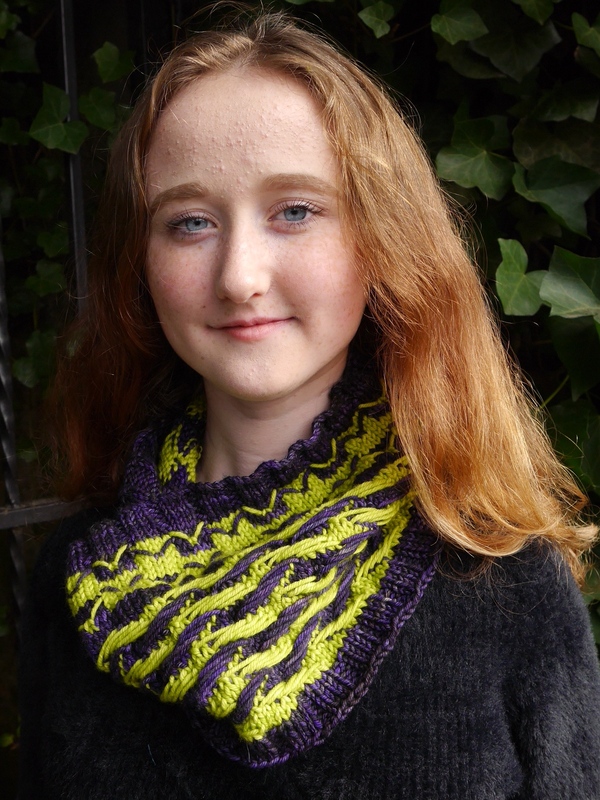 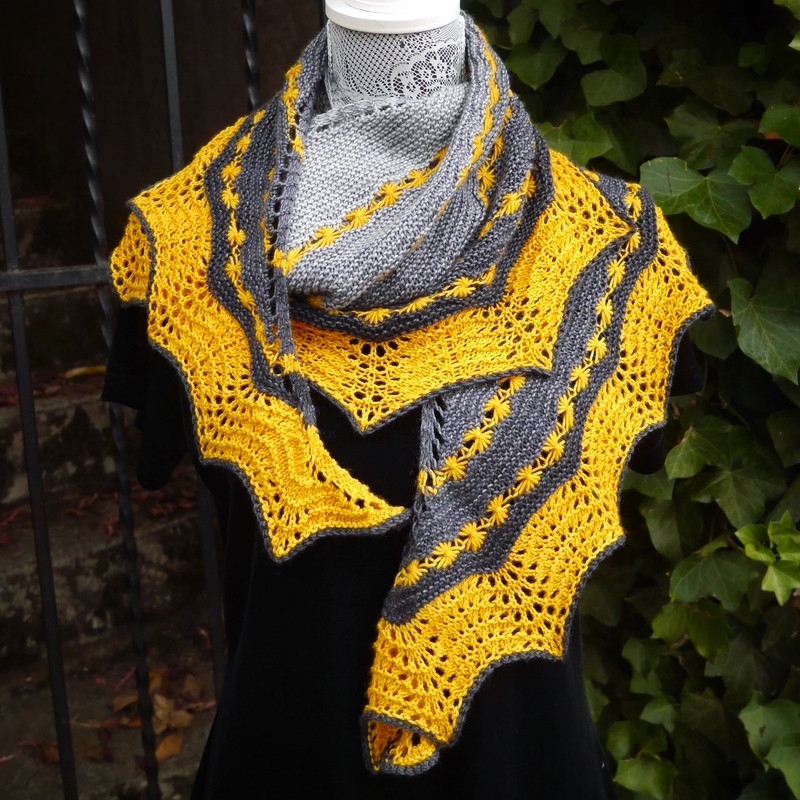 The cowl instructions include three sizes, from a cozy 22″ neck warmer to a larger 24″ cowl. 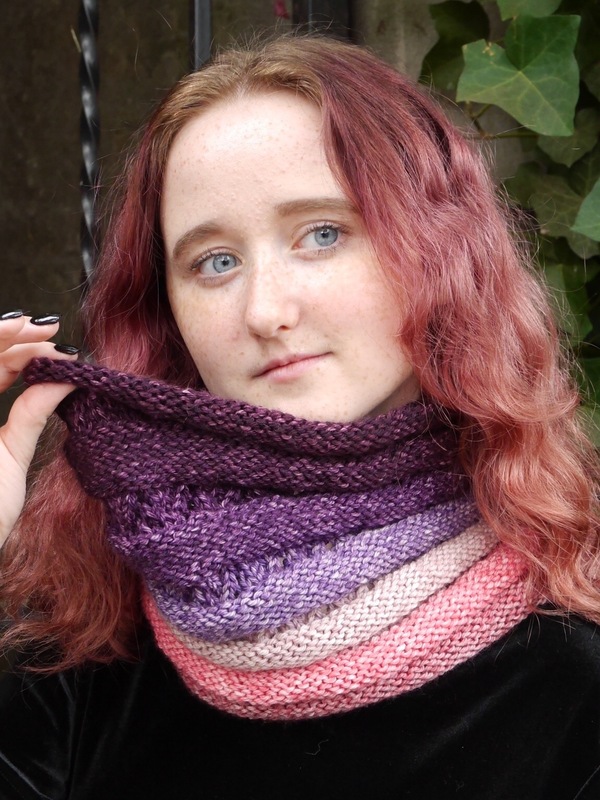 The circumference and height of the cowl are easily adjusted. 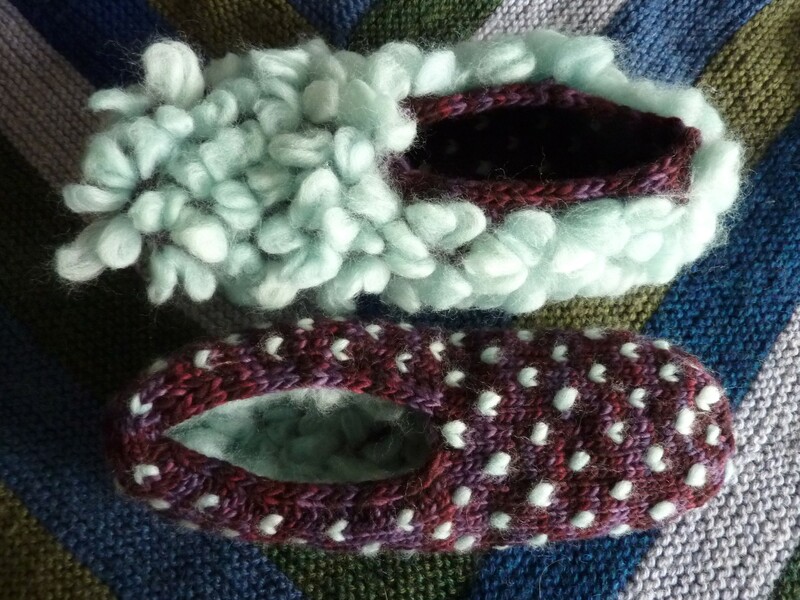 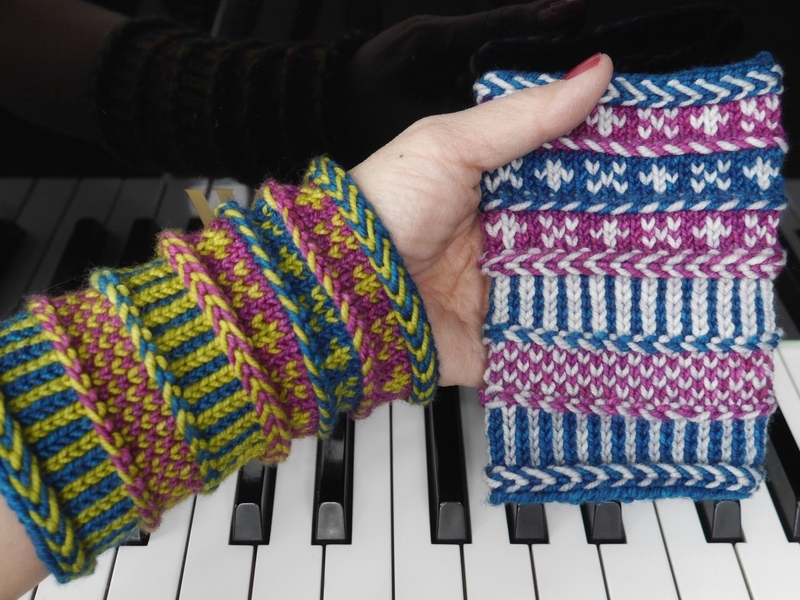 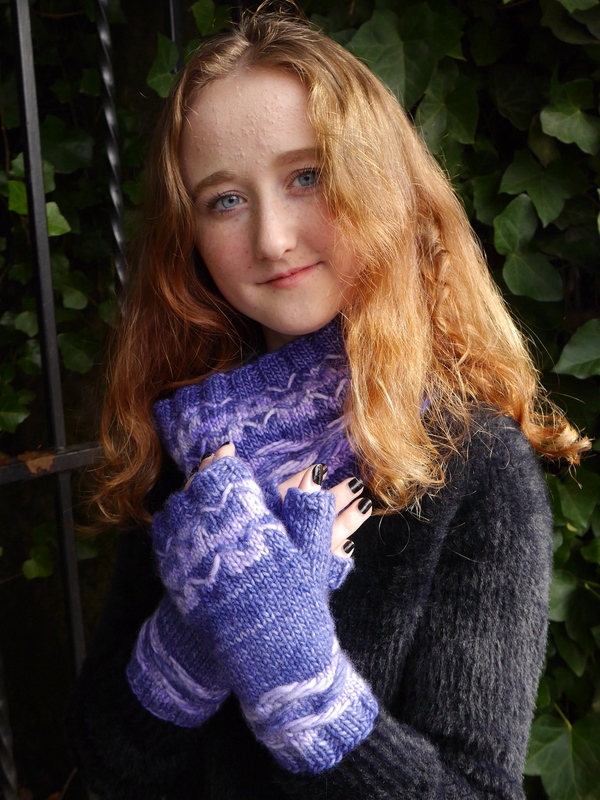 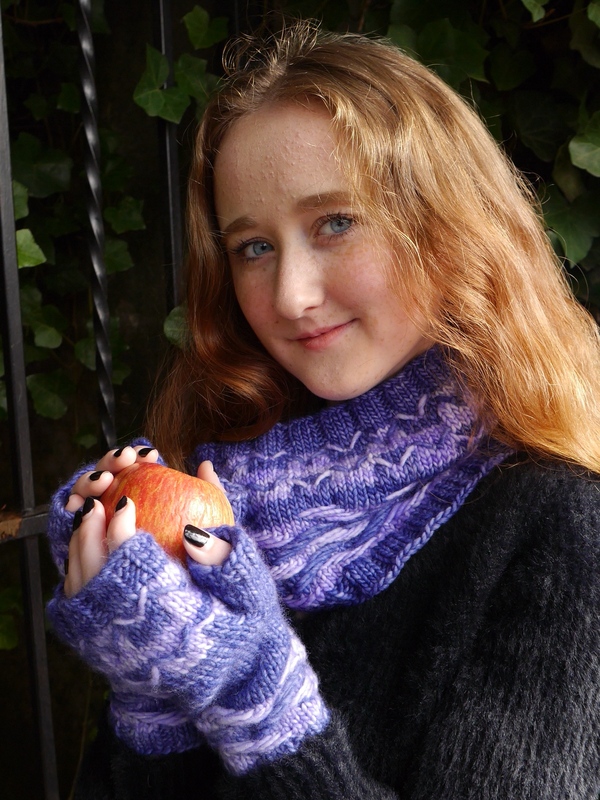 The mitts are written for one size, 7.5″ in circumference, and will stretch to fit an 8″ palm. 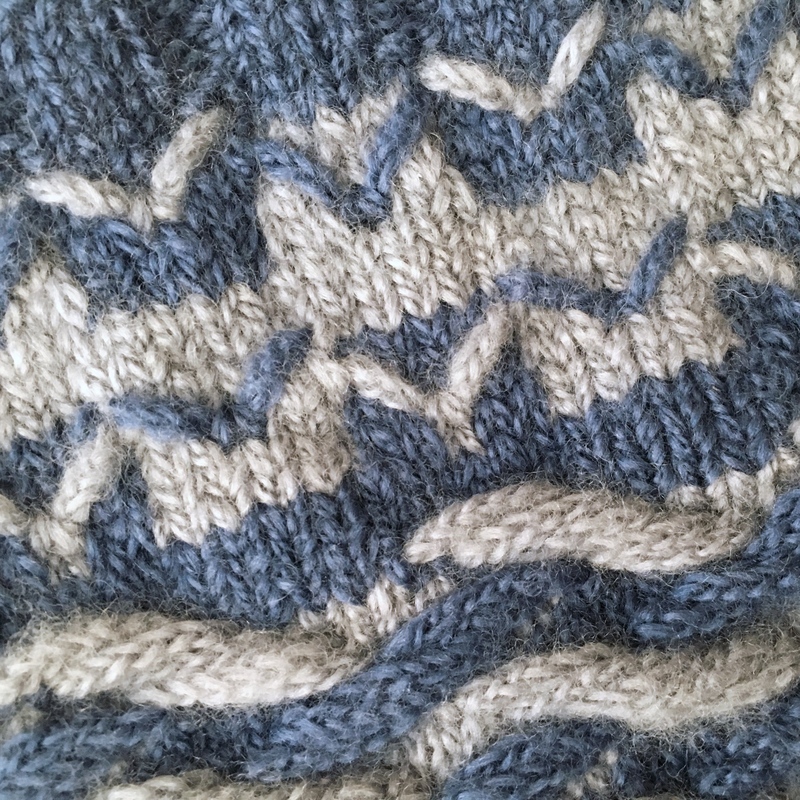 Because of the large number of stitches in the seagull and wave stitch pattern, sizing should be altered by changing needle size. 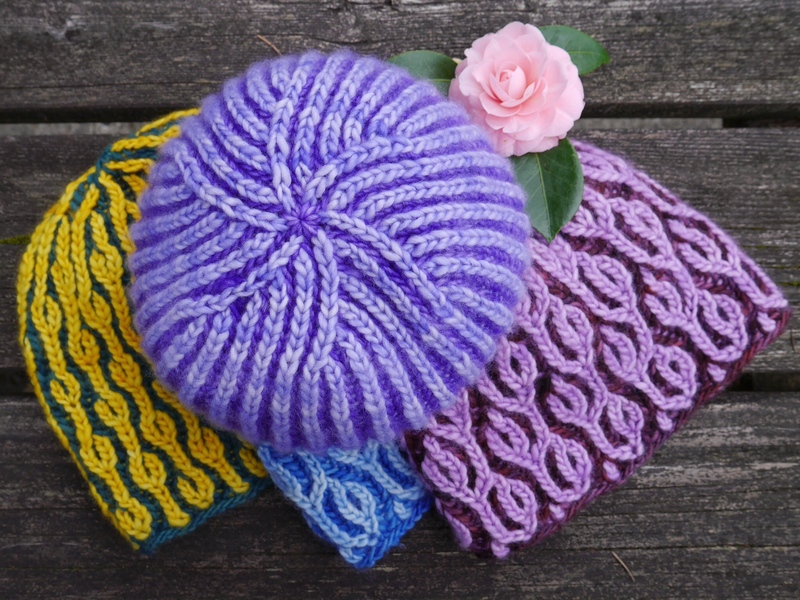 The patterns are available for $6.50 for a single pattern, or as an e-book of both patterns for $10. 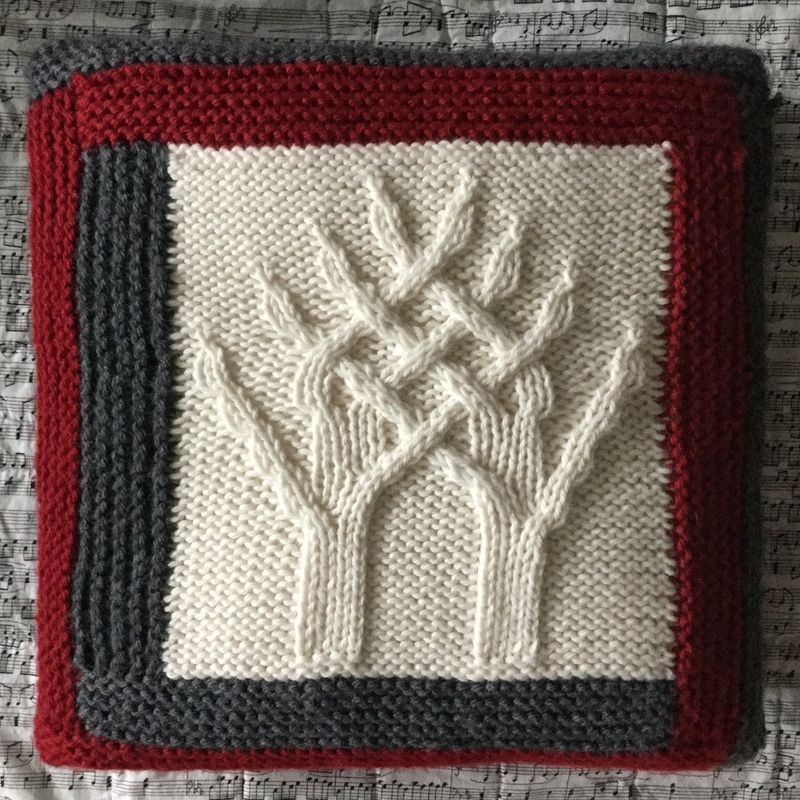 Ravelry link here. 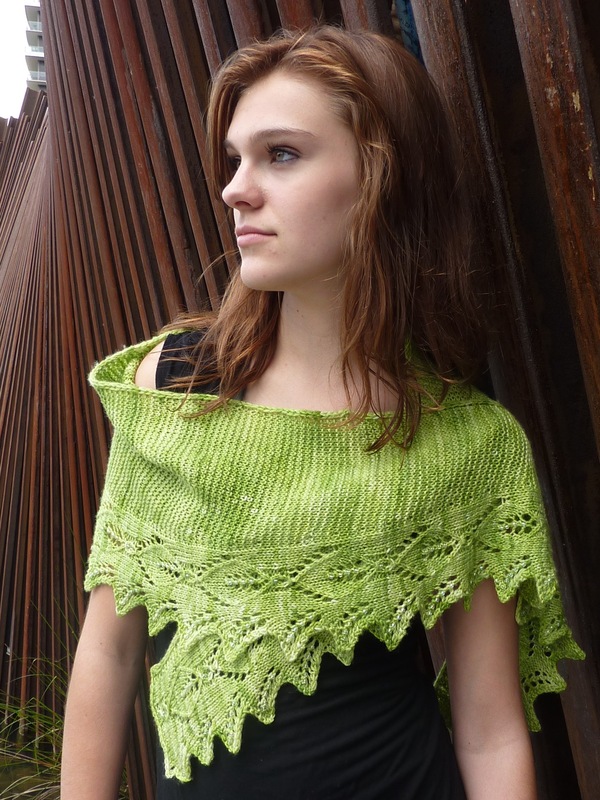 Thanks to tech editor Amanda Woodruff, test knitter Ann Berg, and model Erin Hocraffer.